Any Capetonian will admit that winters are pretty wet and windy in Cape Town – but in between the cold fronts we are also treated to sunny, crisp and clear warm days. Perfect for getting out into the great outdoors! Last Sunday I did just that – my brother and I parked on the road that runs past the Table Mountain cable car station and walked until the tarmac ran out. We walked for just over an hour (although you can walk for much longer depending on where you park) and the mountain was just spectacular after all the rain – streams are gushing and waterfalls are in full flow! The views too over the harbour and the city are impressive – definitely worth getting out of the house for. The Pipe Track (named for the pipes that used to carry water from the reservoirs) serves as a link to the Twelve Apostles Ridge. However, it is also a beautiful, manageable walk and gives wonderful views of Camps Bay and Lions Head. 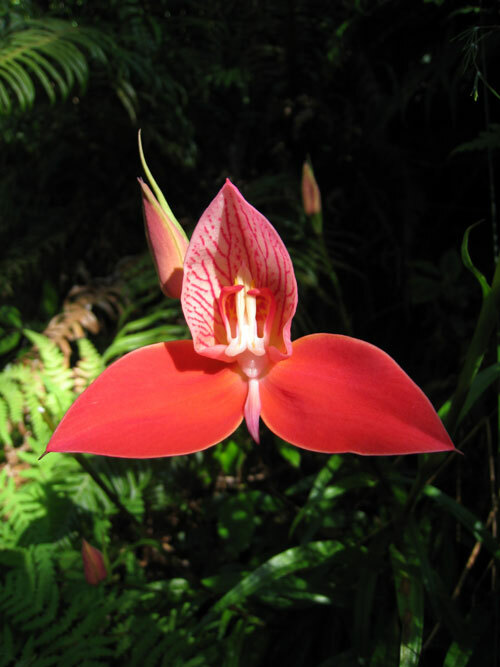 Park your car at the Kloof Nek parking and follow the path through several bends for approximately 7kms until you reach a point below the disused Woodhead Tunnel in the Slangolie Ravine. If this isn’t enough of a walk for you, try a route up the mountain. 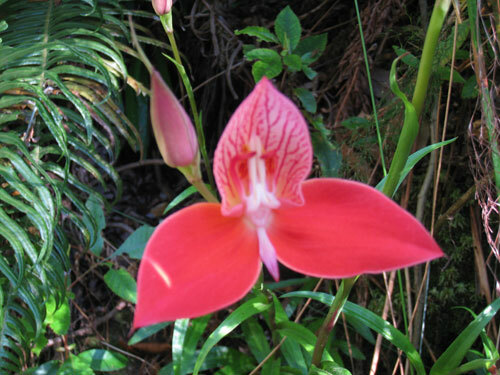 (See our detailed article about this walk at Table Mountain Pipe Track). The Grootkop excursion is a favourite and the view from the top is spectacular. 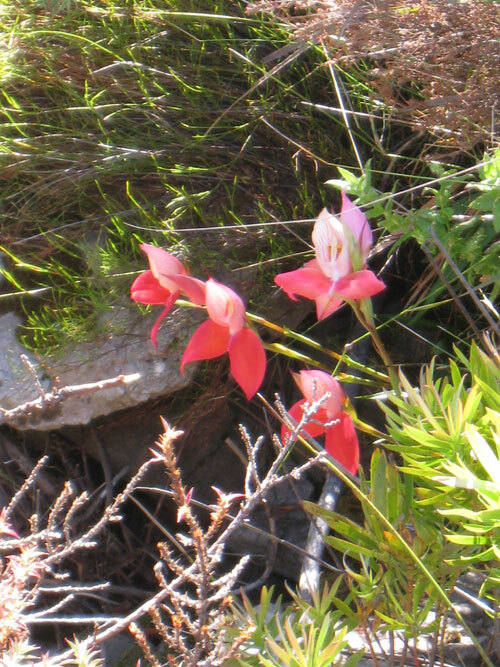 Start the walk from Theresa Drive in Camps Bay and climb via Kasteelspoort which is the shortest route to Grootkop. 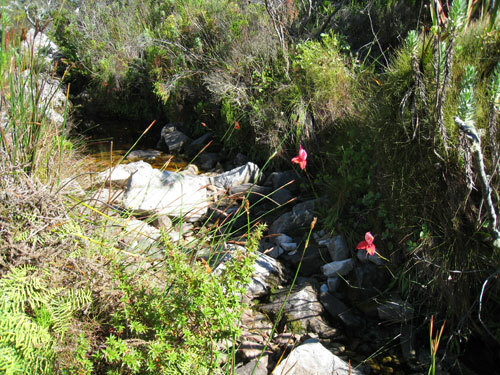 After reaching the Back Table, use the Southern path along the ridge of the Twelve Apostles and this will lead to Grootkop. 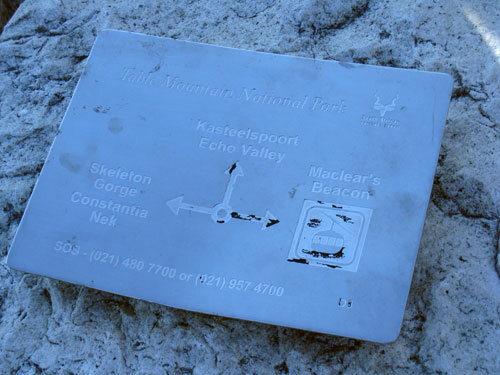 The ascent is marked with beacons. It’s good to remember that the walks that start in Camps Bay have shade for longer in the morning! 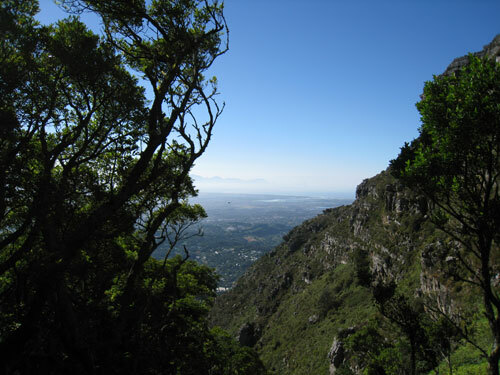 Although slightly steep at the top, Lions Head is still a great climb and again the views and scenery are a perfect reward for the little effort needed to reach the top! 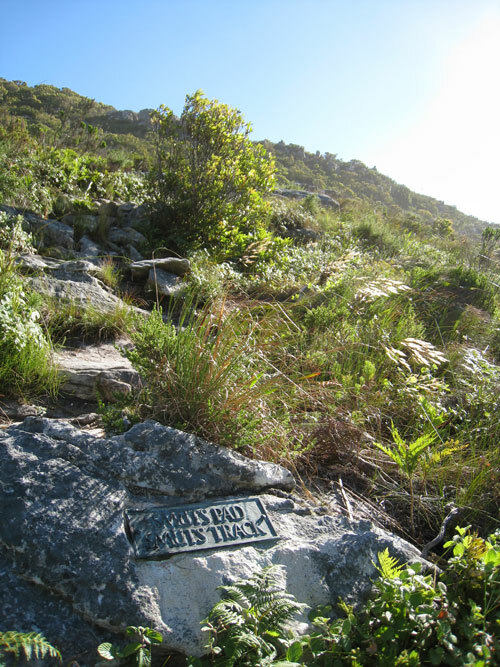 The trail starts opposite the parking area and winds its way around (and around and around) Lions Head until you reach the steeper areas and need to start climbing either the rocks or ladders provided. 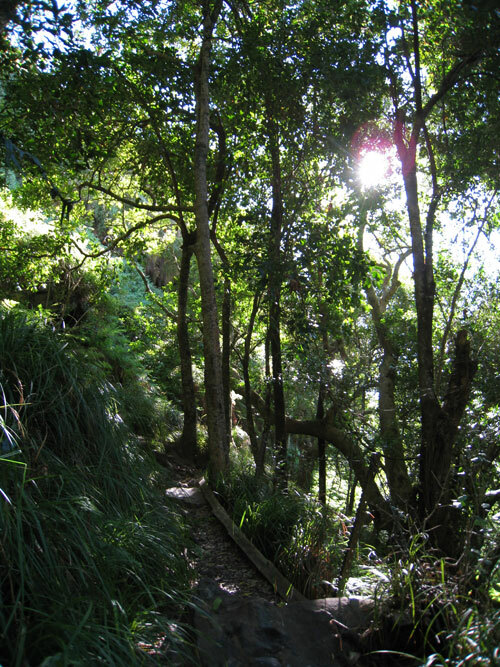 This walk starts in Kirstenbosch Gardens and is in shade through the forest. There are a few sections of rockfall and ladders are provided to help climbers were needed. 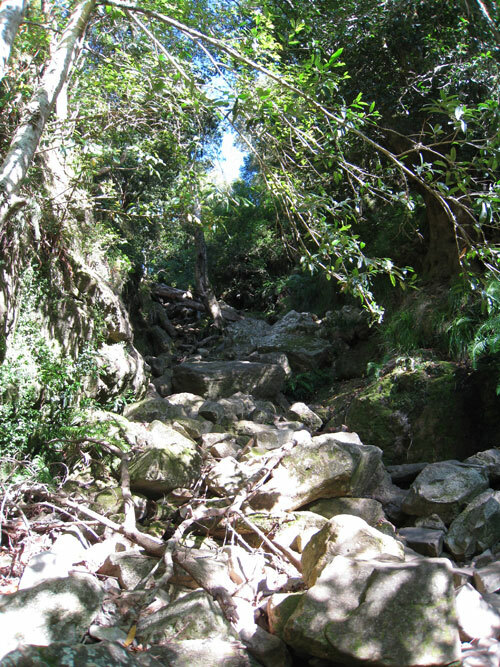 Once at the top (near the dam), you will need to keep left past the dam to the top of Nursery Ravine. 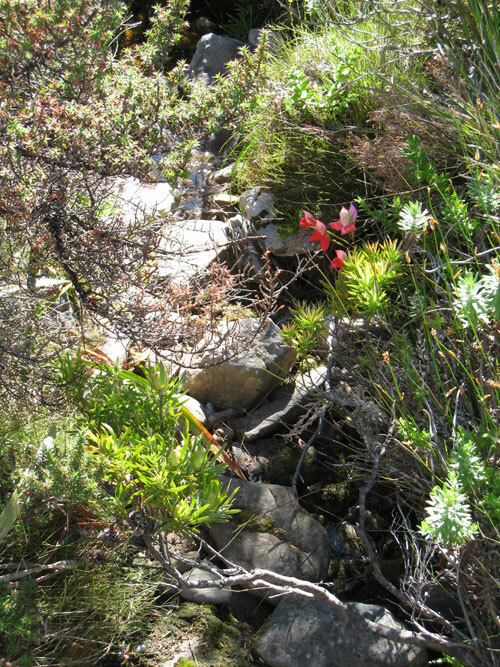 The descent of Nursery Ravine (which is steeper than the ascent) will bring one back to the contour path and one can then walk back to the Gardens. 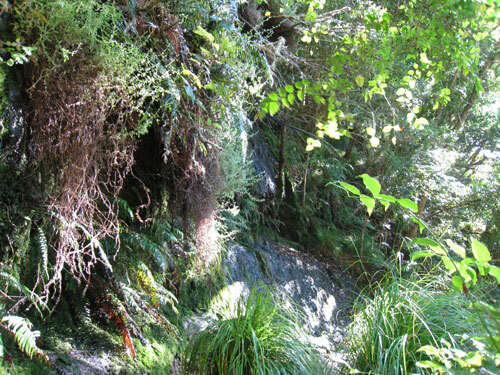 If you are looking for a longer walk, you can carry on to the top of Skeleton Gorge (Breakfast Rock marks the top of the gorge) and then make your way along the Eastern flank to Maclear’s Beacon which is the highest point. The views of the entire Table Mountain chain all the way to Cape Point are superb! From here you can walk across the Central Table and an about 60 minutes later you should arrive at the cable car station and you can ride back down. 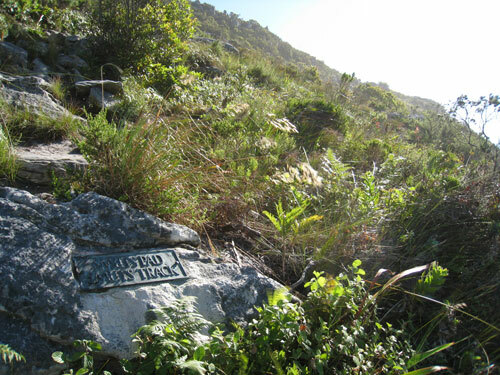 The Constantia Corner Path walk starts at Constantia Nek. Walk into Cecilia Forest and then follow the path that leads off left from the dirt road. 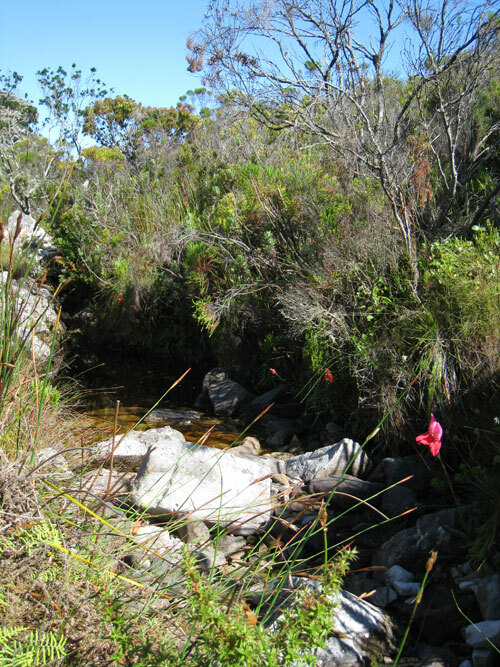 You need to follow the path up Constantia Ridge and onto the service road that links Constantia Nek to the Cecilia Plantation and the Woodhead Reservoir. The walk is just less than four hours in total and returns to the starting point. Please remember the mountain can be moody and the weather can turn quickly. You should always carry a light but warm jacket with you, as well as plenty of water and sunblock. Try not to walk on your own and always have a fully charged cell phone with you. 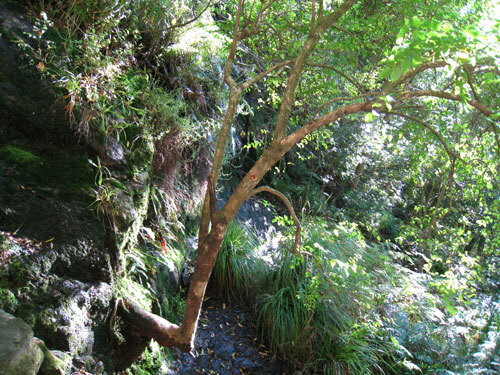 Photographs taken on the Skeleton Gorge Hiking Trail. Hi there I saw something on tv about hiking & staying overnight in a chalet just want some more info on that since me & my friends are interested in doing so .Can U please get back to me asap….